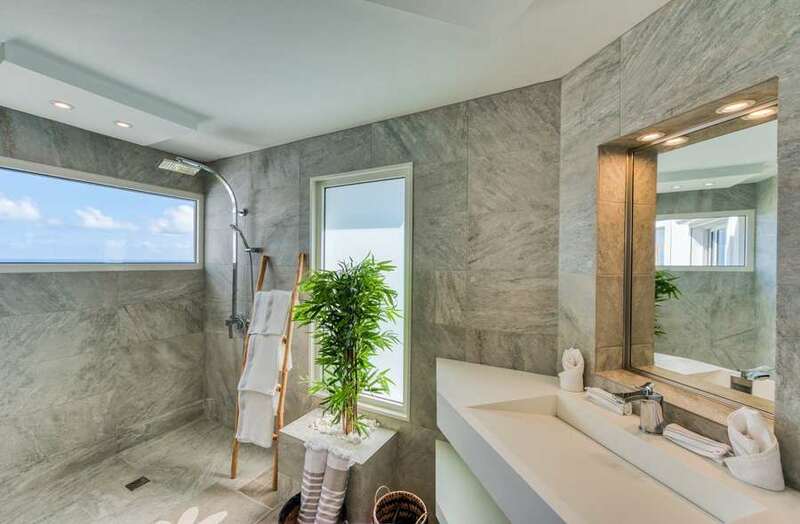 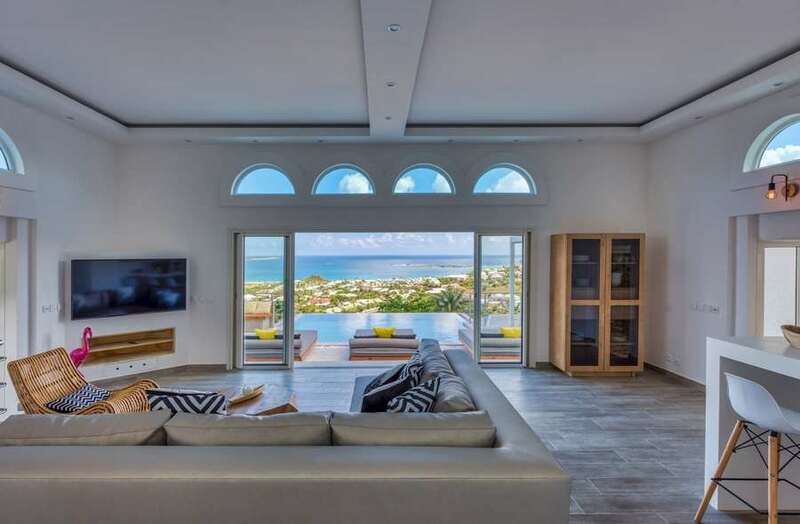 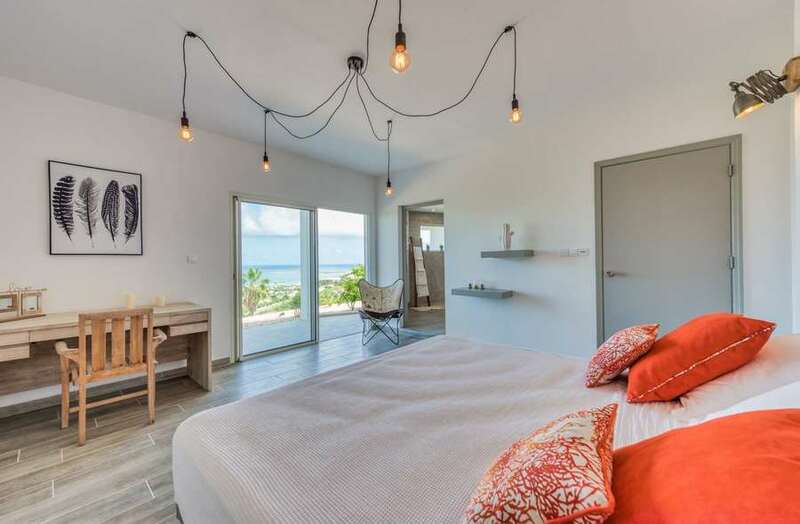 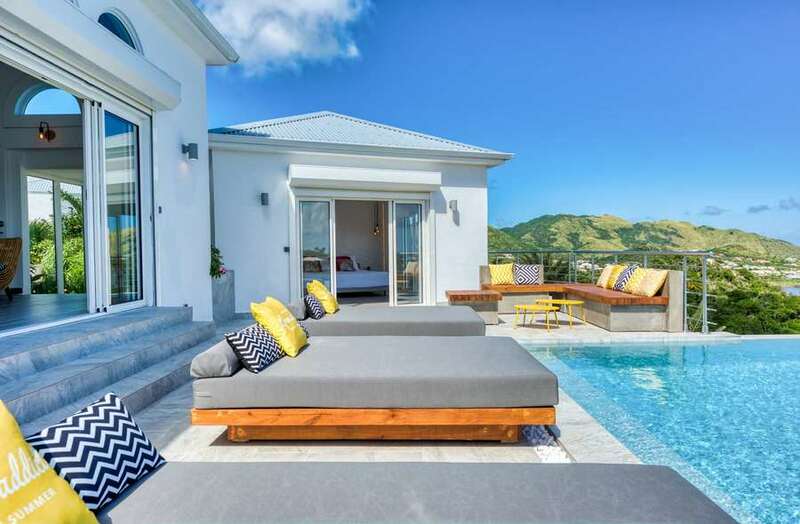 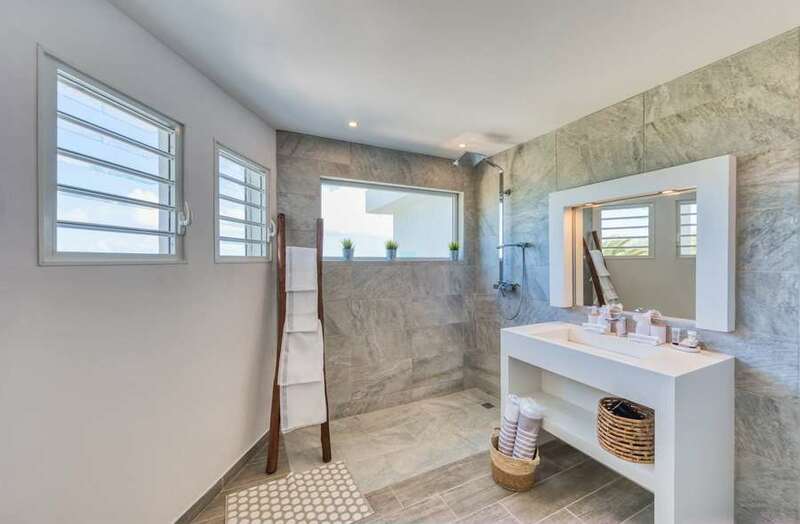 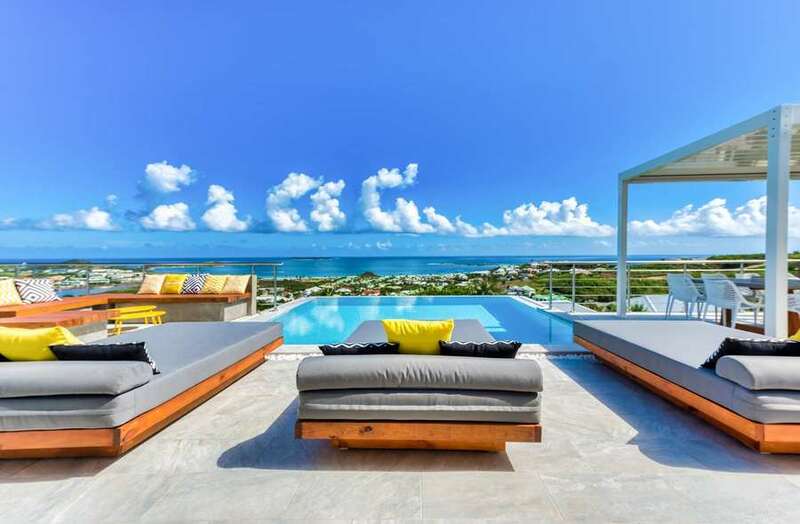 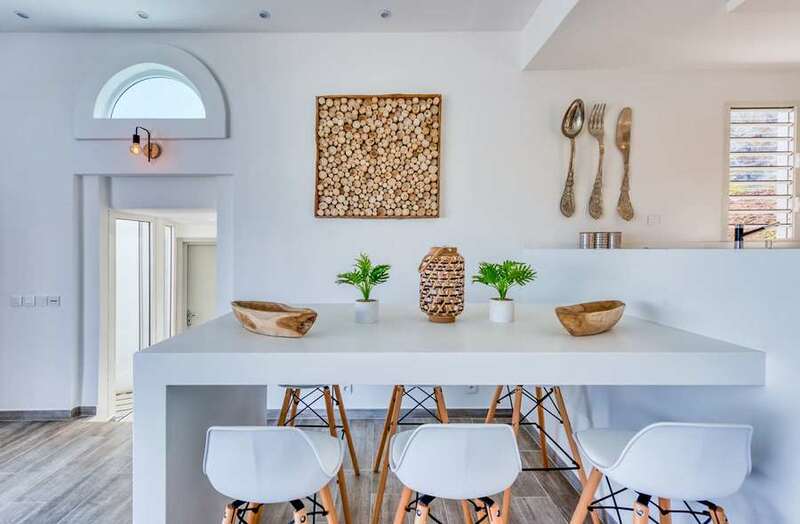 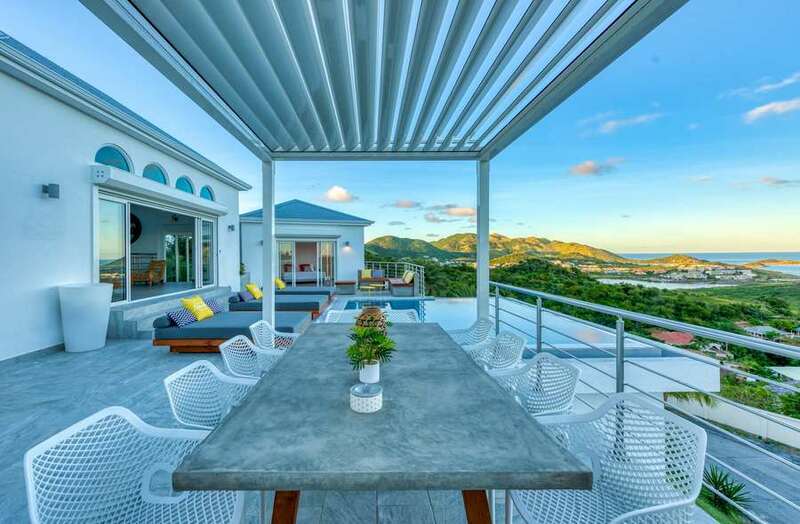 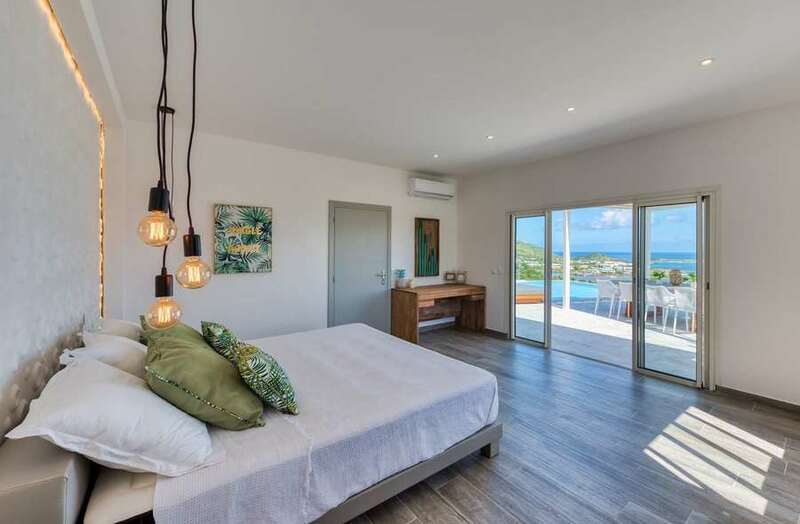 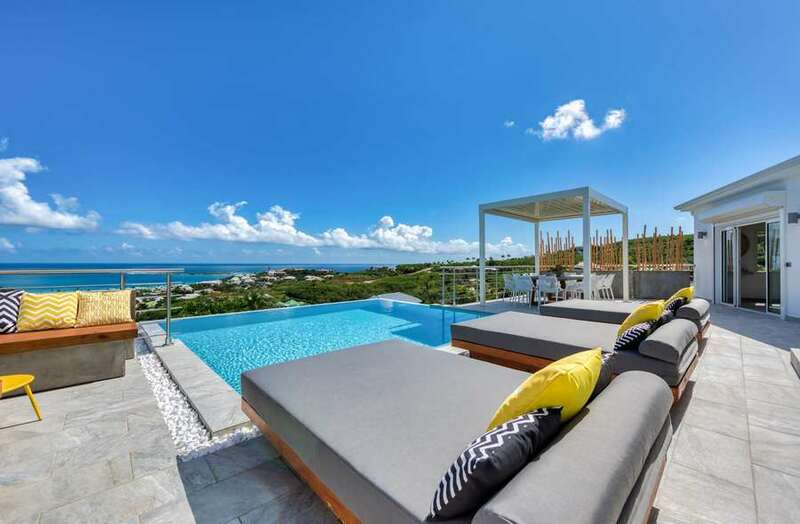 Located beside Turquoze in the heights of Orient Bay, villa Topaze has a lovely sun deck and plunge pool with modern luminous patio furniture and enjoys a fabulous view over Orient Bay Beach and the ocean and sunrise views of Tintamarre and beyond. 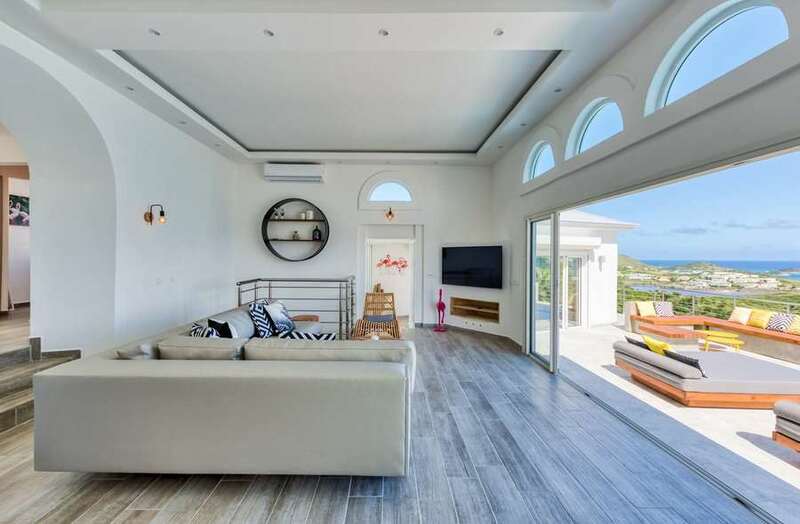 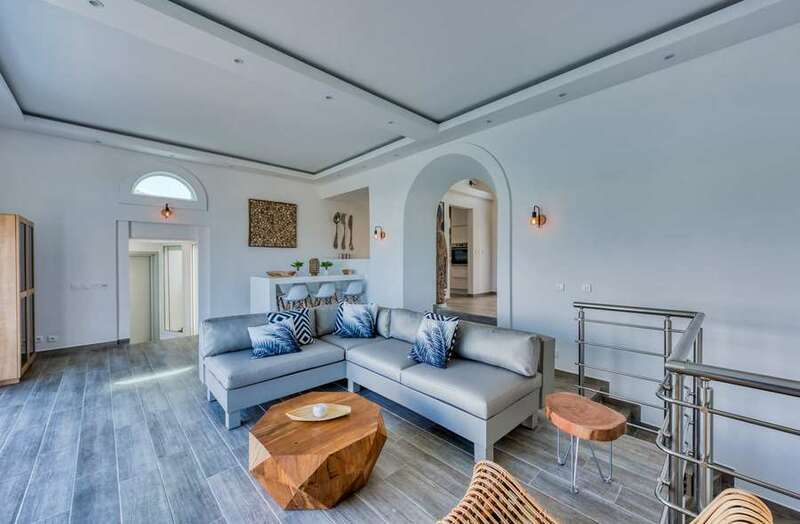 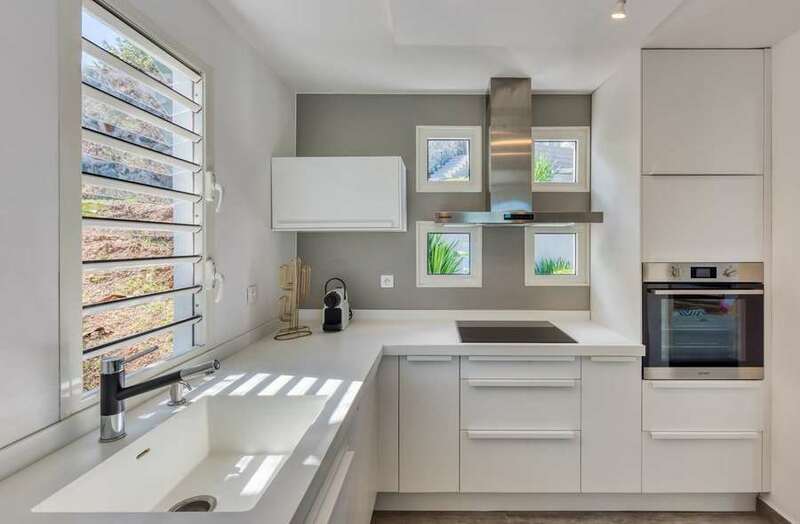 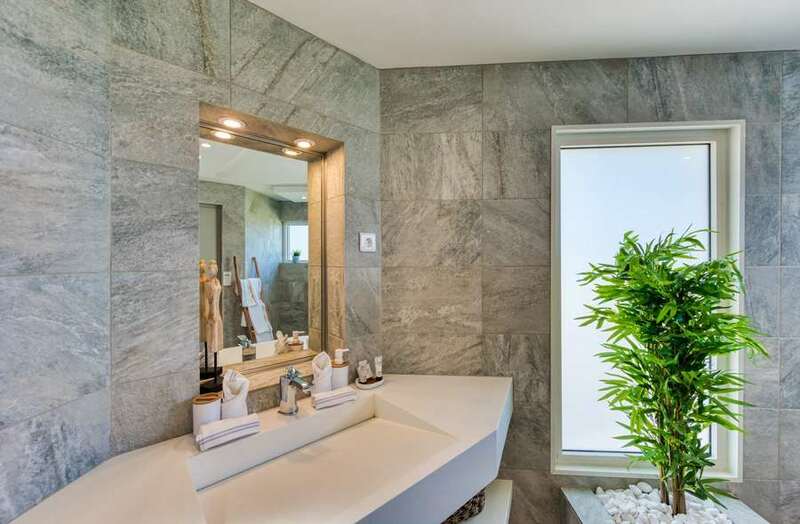 Air conditioned throughout, the interior living spaces include an expansive, light filled living area and gourmet kitchen, three pristine king size bedrooms with en-suite designer bathrooms and a fitness room. 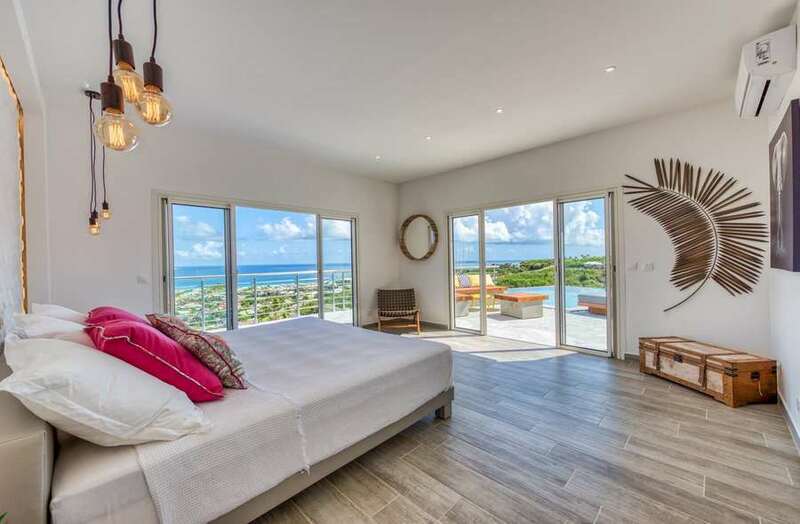 All 3 bedrooms have an ocean view and can be accessed from the interior. 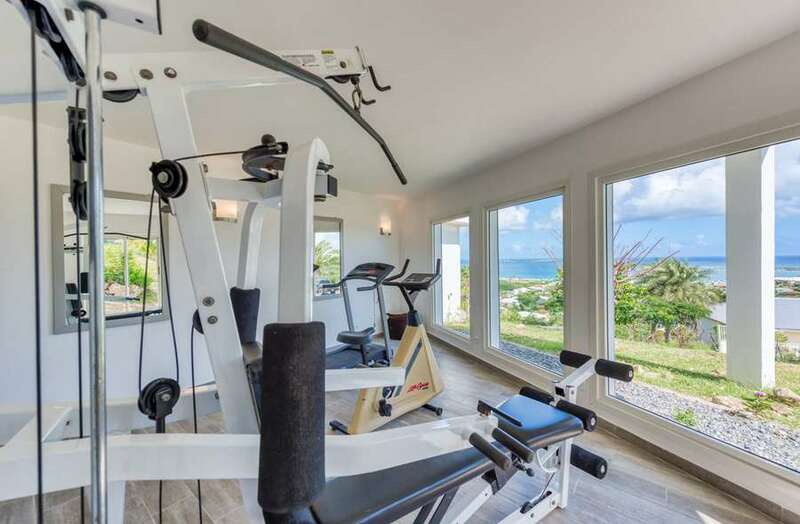 Just a short drive to Orient Bay Beach.